Even though they might not look it they are total badasses. 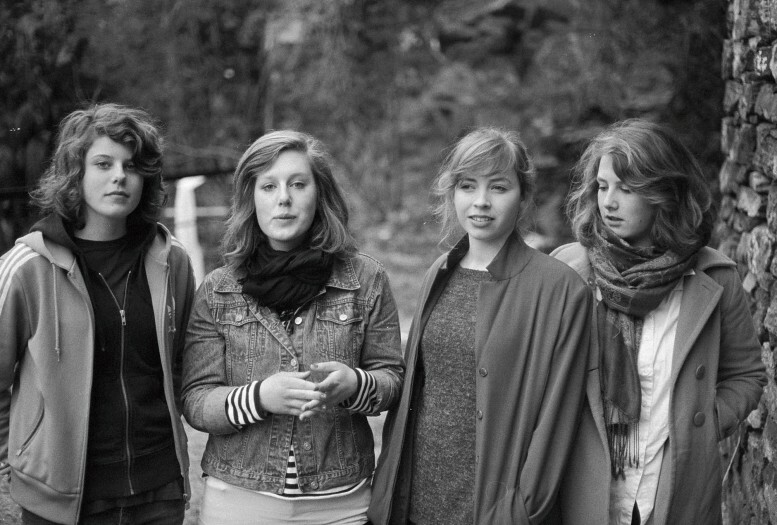 Razika, an adorable band of outsiders from Bergen, Norway, are an anomalous youth quake unto themselves. Whilst their first album, Program 91, is full of beautiful and rebellious naive melodies, its all too soon to tell how long the high will last – and they haven't even toured the U.S. yet – which they plan on doing this Fall. Nevertheless, for a group of girls born in the early nineties – when grunge was still in in its impetus and a war in Kuwait blared a distant, televised firework show in night-vision – Razika's first album is an impressive landscape of angst, love, and longing painted by a group of girls wise beyond their years. Having been playing music together since they were six years old, Razika had already years of musical chemistry between them when they started their band in 2005 – and they admit that it wasn't until two years ago that "things started getting serious." 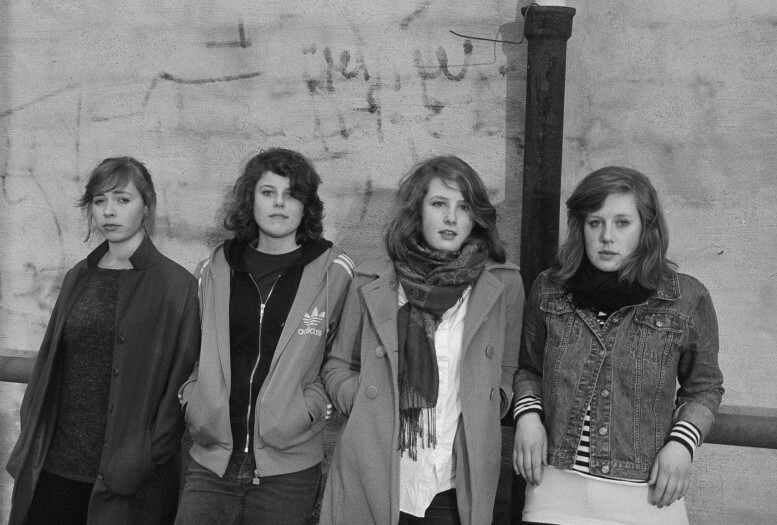 Now in their early twenties, the four girls of Razika are experiencing a tidal wave of critical success for their first album, which was recorded over the course of a year on the weekends, and was released only a few days ago, an album that could very well be part of the soundtrack to a tumultuous year that will no doubt be remembered when the youth of the world prevailed – in art, in rebellion, and even in war. I heard the name of your bands comes from a code word to describe a cute guy? Correct...We were fourteen/fifteen and needed a codeword for all the cool and older guys we saw. We didn't want them to think (or hear) that we either looked at them or talked about them, so we came up with Razika. And when we started the band, it was natural for us to use that name – "our name". Actually, Razika was a really weird and funny girl at our school and we thought her name was so catchy that we just started using it. So, who is everyone in Razika? Can you introduce yourselves? Embla Karidotter on drums and backingvocal, Marie Moe on bass and backingvocal, Marie Amdam on lead vocals and guitar, and Maria Råkil on guitar and vocal on some songs. How long have you all been playing music together?We have been playing for five whole years, but it's not until two years ago that things started getting serious. Our manager now, Mikal Telle, came to us back then and started helping us, giving us advice and so on. He released our very first EP (Love is all about the timing) knowing he wouldn't earn anything from it, but he believed in us and told that if we wanted to get somewhere with our music, we should start practicing more and work harder. Set goals. And that's exactly what we did. "....It's easier to write songs when your heart is broken...."
What are some of your main inspirations? Influences? Our main inspiration comes from life itself. Our life. 20 year old girls' experiences about love mainly. You know, not getting the "Razikas" we so badly wanted/want. Being too young, keeping secrets from our parents, skipping school, going out, being thrown out...It's easier to write songs when your heart is broken, you have so many feelings you want to get out. We wouldn't exactly explain our lyrics as jolly. The're sad, but honest, songs. And that's why we like the fact that our melodies bring positivity to it all. Our influences are mostly Norwegian rock and new-wave bands like The Aller Værste, The Pussycats and Program 81. As you see, this is where we got our album title from. But we changed it to '91, since we're all born that year. But we're also very influenced by ska. Love the Specials, Madness, Bad Manners and so on. And then of course we like the typical so called indie music, like The Strokes and Arctic Monkeys. These are the bands that inspired us to even start a band together. We wanted to play rock, then punk, then pop, then indie, then ska...we went through phases and found our sound on the way. Some of your songs on your new album are in English and some are in Norwegian. How is it writing songs in two different languages - Is it easier or harder – do you think that helps reach a wider audience? We don't have any specific reasons why we write in two languages. That's just how it is. We started writing in English, which is really the most normal thing to do even though you live in Norway, but then later found out that writing in our own language made us write more honest songs. It sounds so real and it hits you in the face when we sing in Norwegian, but English is a universal language and we're so influenced by it all over, that sometimes the lyrics just literally comes out in English. What's funny though, is that our most popular songs abroad, are actually the Norwegian ones. What was it like growing up in Norway? Just to be born in Norway is like winning in lottery, and Bergen is both the most beautiful and coolest city in Norway. We have the biggest music scene, and Razika is s result of this. Your new album is called Program 91 - where does that title come from? As we said, it was a new wave band from Bergen who started in '81. We found an old record of them in Maria's cellar, where we used to rehearse, and we loved it right away. We actually used to put the record on before we started practicing, so we would get inspired. Program 81 was in fact the band who made us realize we had to start singing in Norwegian. I'd be remiss not to mention the recent devastating terrorist attacks in Norway. What is the general psyche of the country right now? A month has passed now and even though the grief and sorrow is like a blanket over our country, Norway, as one, has never been stronger. You have a US tour coming up. Any fears or expectations? No fears, this will just be a fantastic experience! We're looking so much forward to it, we can't wait! Whats next for Razika? Better things. Just you wait and see. Razika's new album Program 91 is out now on Small Town Super Sound Records.